Over the past five months, the cross-government accessibility community has grown from 0 people to more than 400. The community shares experience and ideas through our Google group and regularly gets together for meetup events. We're currently planning our next meetup, which will be held early next year. 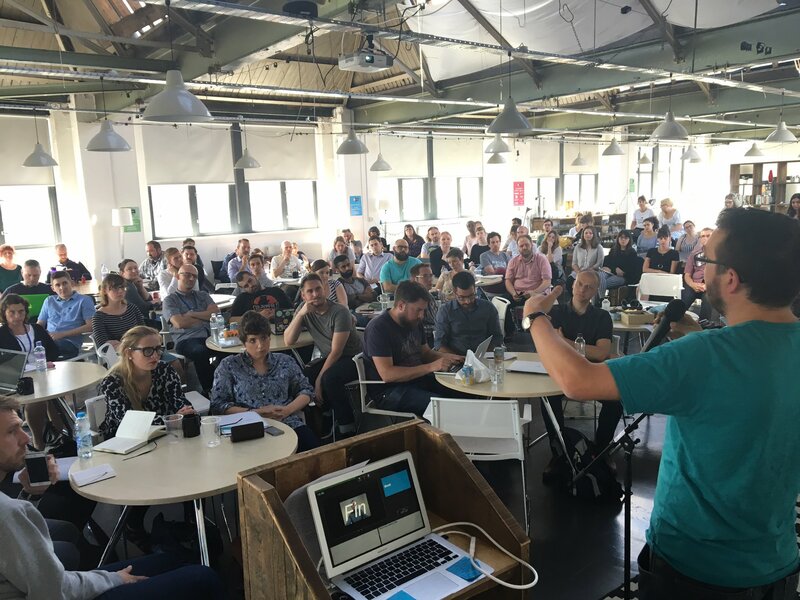 To give you an idea of the sort of thing you can expect, here’s what we discussed at our last meetup, a half-day event in Leeds on 8 September. The September Accessibility meetup, the second we’ve held to date, took place at the Open Data Institute in Leeds. Around 100 people attended, from DWP, HMRC, DVLA, Parliament, Home Office, NHS, Gov.scot and GDS. The day comprised a series of presentations about different accessibility-related subjects. While user research is vital in developing accessible services, there are ways of testing how accessible a service is without user research. This is technical accessibility testing. Richard Morton, a Digital Accessibility Specialist on the GDS Accessibility Team, demonstrated some simple tests that anyone can do to identify common accessibility issues on services. For example, trying to operate a website without using a mouse, trackpad or touchscreen. This can reveal issues that affect users who just use a keyboard, and users who use assistive technology such as screenreaders and voice recognition software. As well as doing technical accessibility testing manually, teams can also use automated accessibility tools. These are automated tools that can be used to identify accessibility issues on websites. Mehmet Duran, a Front-End Developer in the GDS Accessibility team, recently led an audit of some commonly used accessibility tools. The aim was to help service teams understand how best to use automated tools and how to combine them with manual testing. For the research, the team created a page filled with accessibility barriers to find out how many would be picked up by 10 tools. The results showed how varied the test results are and how patchy the tools' coverage can be. We’ll be blogging about the audit soon. Technical accessibility testing is one way to improve the accessibility of services. Two others that were discussed at the meetup are user research and using data. We know from our recent discovery research (which GDS User Researcher Angela Collins-Rees outlined at the meetup) that conducting user research with people with accessibility issues can be challenging and daunting for teams. Claudio Franco, a User Researcher at HMRC, shared some ideas for how to conduct user research with people with cognitive conditions. He developed these with colleagues at DWP when working on Personal Independence Payment. Claudio gave advice on how to recruit people with cognitive conditions for user research sessions, such as talking to user-led organisations such as benefits support groups. And for how to carry out user research, such as being clear with people about how the lab works and telling them about recording, two-way mirrors and other tools. In another presentation, Lorna Tang, a Third-Party Data Analyst working in the GOV.UK team, was joined by Rebecca Jeffrey, a Policy Researcher from Citizens Advice. They spoke about how government service teams could use Citizens Advice data to see how people are using services in the real world. They explained about the different levels of data Citizens Advice records and talked about how the data is already being used in government. In addition, they talked about how it could be used in the future to influence service design and policy. Tom Morgan, an interaction designer at DWP, gave a talk about how he and the team he works with tested the accessibility of Access to Work. This is a grant that you can apply for if you have a disability or health condition that makes it difficult for you to do parts of your job. Tom talked about how testing with people with different access needs helped the team to design different parts of the service. For example people using screenreaders wanted more labelling on form boxes. And people on the autistic spectrum found big, general, open-ended questions very stressful. A key message from the talk was that accessibility is much more than just ensuring the code of a website is good. It is about good design, which is helped by looking at the full range of human capability. The final speaker was accessibility consultant Molly Watt. Molly has Usher Syndrome, which is the most common form of deafblindness. Molly was born deaf but with perfect vision. At the age of 12 she was diagnosed with a form of progressive blindness and had lost most of her sight by the age of 14. She talked about how every obstacle in her life has been made easier with technology. Such as her hearing aids, iWatch, iPad and apple computer. And how important it is to make everything accessible. We’re holding our next meetup in London on 17 February. If you work in government and you’d like to attend, join the cross-government accessibility Google group for more details.